Many of our aging loved ones expect to live in their current homes for as long as possible. However, if during a recent visit you’ve noticed some telltale signs that their overall health and quality of life may be declining, it’s important to start the conversation about their future needs. This can present unique challenges, as change can be difficult at any age – and your loved ones may be somewhat stubborn in admitting they could use some daily assistance. However, discussing the care they need to thrive as well as any financial or legal matters that could arise is a vital step to take should any type of real crisis occur. But, by gathering your thoughts, enlisting help from other family members, and allowing your loved one to have a say in the decision-making process, you can help ease some of the stress that may develop. The decision to move to assisted living was probably not taken lightly by all parties involved. And, it’s possible your loved one will experience a mourning period of sorts after making the transition. They’ll mourn the loss of their long-time home and familiar surroundings, and they may also worry their independence will become compromised. Create a familiar space. In downsizing their home, your loved one probably recognized not all of their belongings could come with them to their new place. However, even just a few essential items can help personalize their new surroundings. Framed photos, cozy blankets, and their favorite knick-knacks can go a long way in creating a place that truly feels like home. Encourage social involvement. Staying socially connected and continuing to build relationships plays a vital role in healthy aging. While loved ones should be allowed to make their own decisions about the activities they choose to participate in, encourage them to try at least one new activity each week so they can better get to know their neighbors and the staff. Stay in touch. Throughout the transition, it’s always helpful for loved ones to see a familiar face as they get used to their new location and lifestyle. Stay in touch often, whether by visiting in person or making frequent phone calls to make sure your loved one is comfortable and happy as they get settled. Meet the neighbors. Get to know your neighbors as soon as possible to allow the assisted living community to really feel like home. This could be as simple as knocking on doors and introducing yourself, enjoying conversation over dinner or taking part in social activities to meet people who share your interests. Talk to the staff. Don’t be afraid to ask questions. The staff is here to help you feel as welcome and as comfortable as possible. If you’re ever unsure about anything, from the daily schedule of activities to adjusting your bed properly, call upon a staff member to help. Keep a positive outlook. Studies show that seniors who receive the right level of care in an assisted living community feel a boost in their independence. Although moving to assisted living was, of course, a major life change, embrace your new lifestyle and keep an open mind about your future. 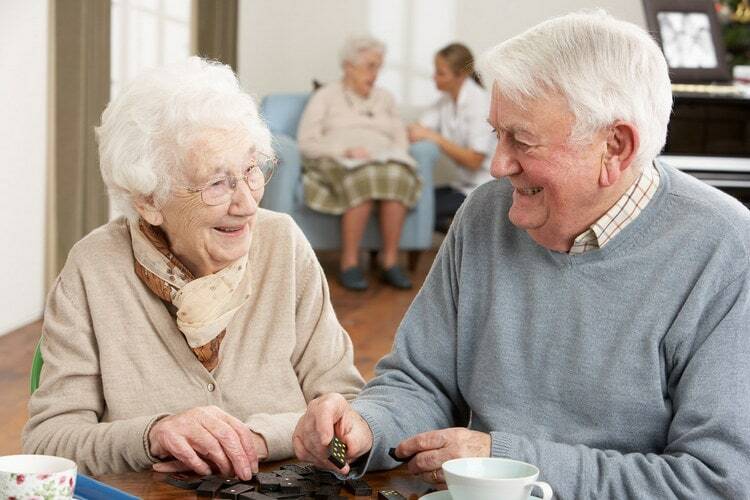 Find compassionate assisted living in North Manchester, Indiana at Peabody Retirement Community. You or your loved one will enjoy a vibrant, comfortable lifestyle in our one- and two-bedroom assisted living apartments with a variety of amenities to ensure you feel right at home. For more information about assisted living at Peabody, please contact us today or call (260) 982-8616.